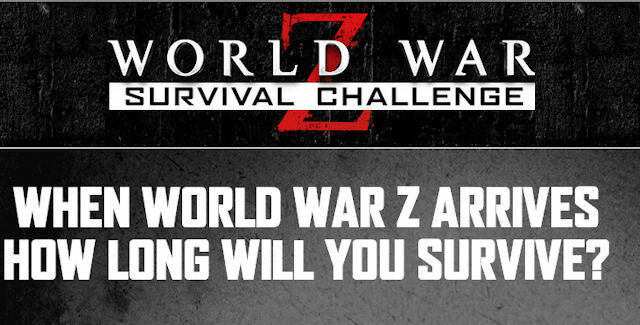 Paramount Pictures has launched a game challenge called the World War Z Endless Survival Challenge! To join in on the DVD / Blu-ray launch celebration, visit the official contest page on WorldWarZmovie.com. • When World War Z arrives, how long will you survive?